I’m so excited to be joining you all and sharing my love of food. It’s been a long week of deep spring snow here in the mountains. 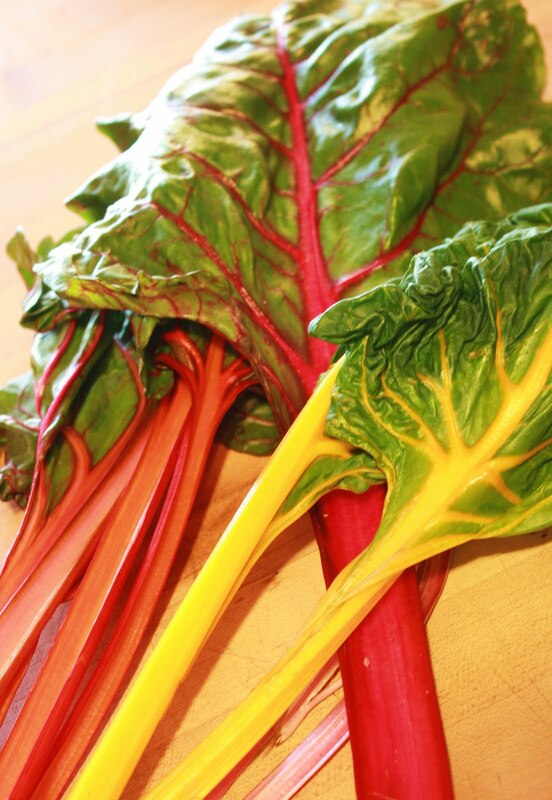 When my day was brightened by this beautiful rainbow chard, I knew I couldn’t keep it to myself. 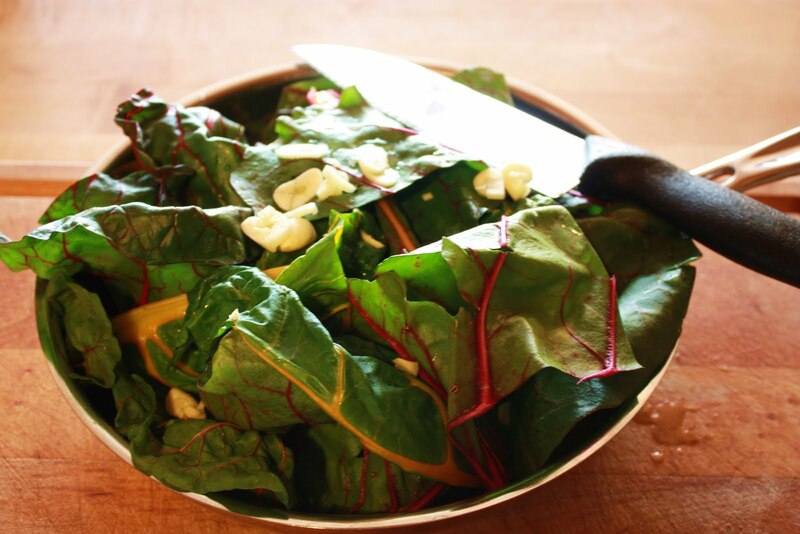 Therefore, Rainbow Chard in Two Parts is the first recipe I will be sharing with you as the start of my weekly exploration here at Healthy Moms. We all know that we’re supposed to eat our greens, but when the nutrition of a green leafy vegetable is packaged in vibrant color, the result is something the whole family can appreciate and enjoy. 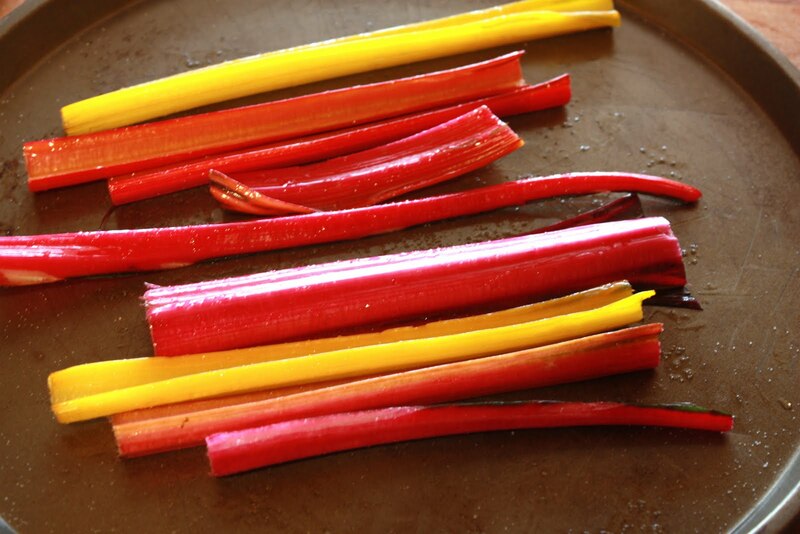 And the best thing about chard, in my opinion, is that it is really two vegetables in one. Of course, you can ignore this fact and simply cook the stalks and leaves together (as you would with turnip greens). However, I prefer to toss the cut stems in a light coating of salt and olive oil, and roast them in a 425 degree oven for 15 minutes. 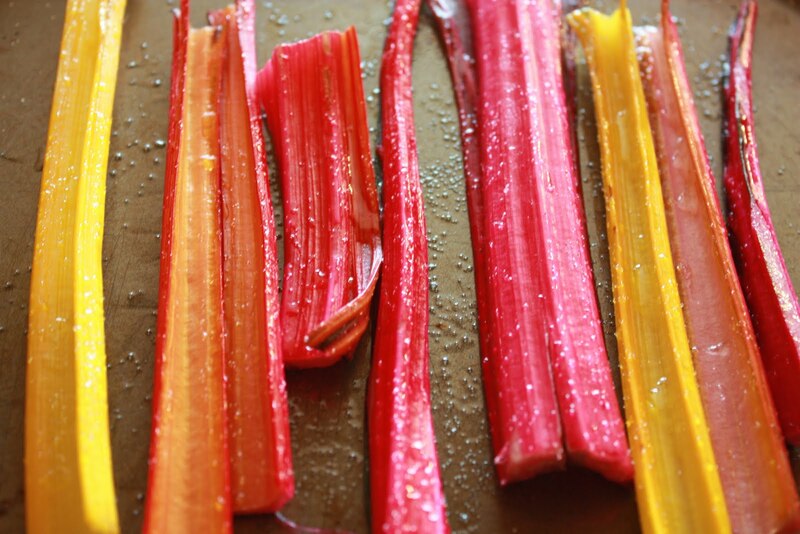 The result is similar to asparagus, but with candy-like colors that will tempt even the pickiest child. The leaves are lovely, heavy and substantial. Today I prepared them (one bunch of chard) in a saute pan with a 1/2 cup of chicken broth and two finely sliced cloves of garlic. After bringing the stock to a boil, I lowered the heat and allowed the greens to simmer, covered, for about ten minutes. After simmering, I raised the heat briefly and added a tablespoon of white wine vinegar before serving. The taste was powerful, just the transport to summertime that I have been needing. 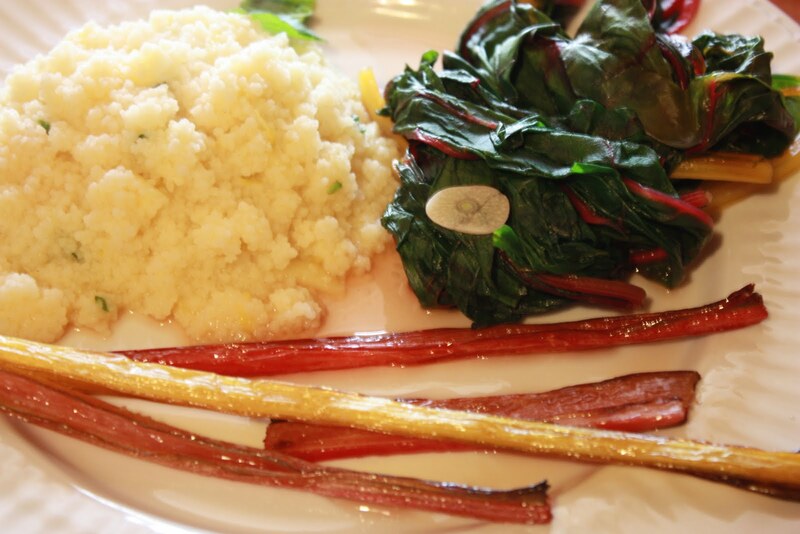 I served the chard for lunch alongside a fluffy couscous and cubed chicken, but the marriage possibilities for this vegetable are truly endless (although I would recommend not overshadowing the chard with the main course). Related Wordless Wednesday | How Healthy Is YOUR Breakfast? Does Your Child Suffer from Constipation? What beautiful colors! That would make an amazing salad. Beautiful!! I must bookmark this as I am always hunting for easy and healthy stuff to make that I know our kids will enjoy! We love our whole and healthy foods and have made it our mission to reduce processed junk and try new health foods. Last month, we worked hard on our grains and tried couscous, quinoa and yummy Kamut Khorasan Wheat which is so super healthy and tastes great too!